H.P. Lovecraft brought horror fiction into existence with his tales of eldritch monsters and otherworldly beings. 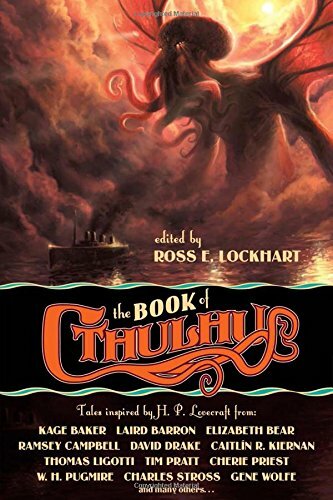 Now, editor Ross E. Lockhart has compiled The Book of Cthulhu, a collection of short stories, as a tribute to the Cthulhu Mythos story cycle first created by Lovecraft himself. The book is an anthology of short horror stories with a variety of topics yet all containing the familiar dread of Lovecraft. The unique genre is Lovecraftian horror, which features the supernatural and the extraterrestrial. Within his stories of the occult, Lovecraft was famous for using dread instead of shock and gore. Instead of trying to scare the reader through cheesy ghost stories or bloody axe killers, Lovecraftian literature creates feelings of insignificance, helplessness, and awe. A common theme is the insignificance of humanity. Humans are merely specks of dust in the vast universe, completely at the mercy of ancient or even ageless beings. Aliens and elder gods from different worlds and dimensions exist that could annihilate humankind on a whim. Lovecraft’s universe holds creatures so monstrous and beyond comprehension that even knowledge of them drives men to insanity. The authors from The Book of Cthulhu continue Lovecraft’s tradition. The first short story, Andromeda Among the Stones, highlights the best aspects of Lovecraft. A family by the edge of the sea must sacrifice everything to guard a portal against the eldritch beings on the other side. Out of all of the stories in the anthology, this short story perhaps best embodies Lovecraft’s sense of awe and dread of the unknown. My personal favorite story is A Colder War, set in the Cold War era. The world’s superpowers attempt to understand and harness the alien beings as weapons. These elder gods trivialize humanity’s nuclear arms and ultimately threaten to consume this world and other worlds. The Book of Cthulhu is a worthwhile and thought-provoking read that will put earthly matters into perspective. Although the stories are sometimes hit or miss, each author offers their own style infused with Lovecraft, making it a varied and interesting anthology. The stories often require the reader to grasp the context very quickly, and it often feels as if the short stories are lacking exposition. On the other hand, this adds to the mysterious atmosphere that Lovecraft was so famous for. The anthology is a proper modern tribute to Lovecraft that will leave readers feeling a little tinier than before. 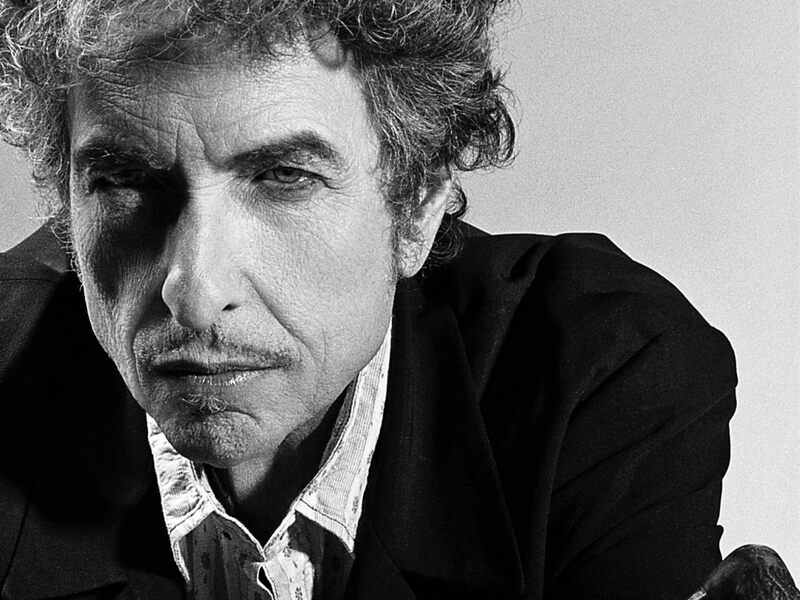 Bob Dylan is an American songwriter and singer who has sold over a hundred million records with influences from civil rights to philosophy. Now, he has once again been recognized for his five decades of work. In December 2016, the Nobel Committee awarded him with a Nobel Prize for Literature, making him one of the most controversial Nobel Laureates. The public was divided over whether a songwriter was eligible for a literary award. The committee explained that Bob Dylan was selected for “creat[ing] new poetic expressions within the great American song tradition,” but many critics and novelists denounced the supposed cheapening of the Nobel Prize. Dylan further agitated the public by maintaining silence for two weeks after the announcement while the committee grew increasingly agitated. Finally, he accepted the prize but stated that he was unable to attend the Nobel Prize ceremony in Stockholm, Sweden. Instead, he sent a speech that was read aloud by Azita Raji, an American ambassador. The works of Bob Dylan are available for checkout from the Mission Viejo Library. They are also available for download through our new Hoopla service. 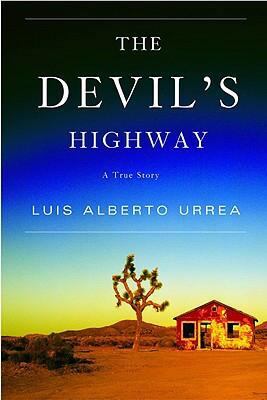 The Devil’s Highway, by Luis Alberto Urrea, is a deeply evocative story about the border conflict between the United States and Mexico. More specifically, it follows the lives and experiences of illegal immigrants, smugglers, and U.S. border patrolmen. Urrea tells of the desperation of the immigrants— the desperation that drives them into the hands of cruel and business-minded smugglers. On the other side of the border, Border Patrol searches through the unforgiving desert, looking for illegals to capture, and oftentimes save from the throes of dehydration. Apart from being an interesting story, or even an interesting tale of human bravery, The Devil’s Highway has a complex political meaning, one that is not easy to discern. Luis Alberto Urrea openly describes himself as a liberal opposed to the U.S. border policy, especially due to his Hispanic descent. During the investigative preparation for this book, he talks with numerous border patrol agents who are openly suspicious of his intentions. It would not be unheard of for media outlets to portray the agents in a bad light. And yet, they open up to Urrea, and in turn Urrea creates a fair and accurate book. An English teacher once told me that reading The Devil’s Highway would open up a whole new world and cause students to develop a completely new mindset towards the 2016 presidential election. The reasoning was that once we learned about the hardships and root motivations of illegal immigrants, who were just trying to better their families’ lives, we would immediately support illegal immigration. Even though this was Urrea’s intent, I don’t think The Devil’s Highway had the intended effect. Most readers already know why immigrants enter the United States: higher wages and less violence. Learning about the arduous journey through the Sonoran Desert doesn’t create support for illegal immigrants. If anything, it makes readers wonder “why would you do that?” and scoff at their foolishness. More conservative readers will see Urrea’s horrid descriptions of poverty in Mexico as further proof that border policy must be enforced. They see low wage workers as a weight on countries, and if more and more flee to the United States, the United States will eventually resemble the chaos in Mexico today. Such a focus on nationalism over humanitarianism is a sad reflection on human nature, but it is equally unfair to blame everyday Americans for this mentality. No country wants to sacrifice its own well-being for poorer countries. Even Mexico must deal with poorer illegal immigrants from the countries to their Southeast: Honduras, El Salvador, and Guatemala. Mexico supports giving citizenship to its immigrants in America, all while deporting Central Americans by the thousands. At the end of the day, each country wants the best for its own people, and that’s just the way it is. Any country claiming the moral high ground in this cutthroat world is an act of hypocrisy. The more surprising aspect of The Devil’s Highway is learning about the border smugglers, called Coyotes, and the U.S. Border Patrolmen. The agents themselves are often overlooked in the great debate over border policy. Liberals see them as Mexican-hating racists while conservatives see them as soldiers defending a battlefront. But at the end of the day, the agents are just ordinary people. Urrea does a fantastic job at humanizing them. He describes many of the agents as “bleeding-heart liberals” who paid out of their own pockets for life-saving towers in the desert. Towers that save the lives of failed illegal crossovers, without any taxpayer dollars. The Devil’s Highway succeeds in teaching readers about every aspect of the border issue, even if it doesn’t provide a convincing solution. Throughout his book, Urrea laments the misguided use of the term “illegal immigrants” and speaks about border security with cynicism. Although he can illustrate the problems of poverty and corruptions quite well, it is far more difficult to provide actual solutions. Yes, living conditions in Mexico are worse than in the United States, but would Urrea really have our country throw away the border and mesh the two countries? The solution cannot be purely humanitarian, which is far too idealistic, nor can it be purely survival of the fittest. Until we figure it out, two parties pointing fingers will get us nowhere. I don’t claim to know the answer, but I imagine it will rest in solving the root causes of elevated poverty and violence to the South. Take The Devil’s Highway as a baseline education of all sides of the issue, not as an end-all solution. 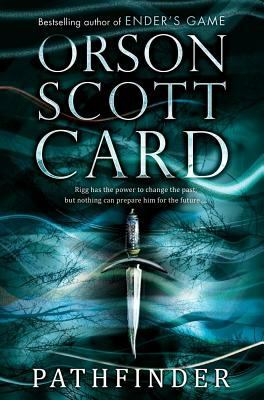 It merely illustrates the problem for readers to then develop their own opinions and solutions. If we can learn to meet in the middle, someday the world will be able to look back on this book as a historical text of bygones. The Devil’s Highway is available for checkout from the Mission Viejo Library. When an Internet millionaire promises you the “secret formula to sell almost anything online, build a business you love, and live the life of your dreams,” how do you approach it? With a very skeptical mind. However, when I began reading Jeff Walker’s book Launch, I pushed away my doubts to try and learn a thing or two about online businesses. 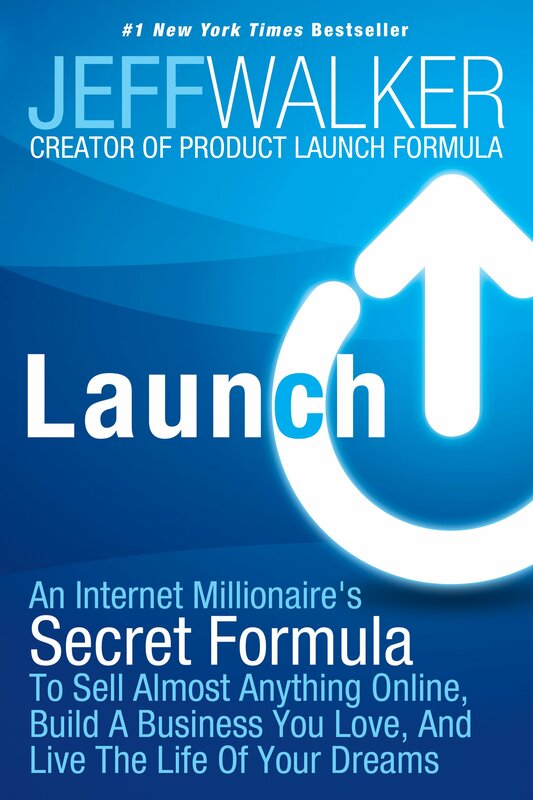 To begin, Jeff Walker was a stay-at-home dad who created a successful online business using a technique he calls the Product Launch Formula. After discovering that his method was relatively unused by the rest of the business world, he began releasing training courses and books on how to emulate his success. According to Walker, the Product Launch Formula has been used by his students in a variety of different markets, from stock trading to dog agility training. Essentially, the Product Launch Formula involves building an email list of people interested in your product, creating a close relationship with those people, and then building up anticipation to your product launch. Although I can’t personally testify to the formula, I think the book itself is very well written. Jeff Walker markets himself as someone who understands and relates to struggling entrepreneur, and not just some marketing god bestowing his eternal wisdom upon us peasants. When explaining any concept, Walker always provides at least one real-world example he’s encountered, often his peers’ success stories. Right in the beginning, he talks about a man who used PLF to sell over 600 copies of a board game using his technique. The one change this book needs is more specifics to each step. Sometimes the success stories presented became repetitive. I would often finish the page knowing that the PLF model can work, but without knowledge of how to start. I’m sure he offers meticulous details in his online courses, but I won’t be paying thousands of dollars for those anytime soon. For any budding entrepreneur out there, this book is a glimpse into one man’s road in online businesses. Even if Jeff Walker’s Product Launch Formula isn’t for your business, it might help you build your business knowledge for the future. The debate over fiction and nonfiction is a battle between escapism and reality. Fictional stories immerse readers in vast worlds with intriguing characters, while nonfiction books expand readers’ horizons in the real world. There is an ongoing debate over which is more useful for readers to consume. In our world of literature, nonfiction is often considered more educational and useful than fiction. While nonfiction deals with the more pressing matters of the real world, fiction distracts readers with entertainment. Just the word escapism carries a negative connotation. If it weren’t for some extra vocabulary, reading a story might be the same as watching a movie. Fiction is a reader’s lens to view the world through a different perspective. Experiencing a fictional character’s life produces empathy in a way that cold facts fail to achieve. A Canadian research group led by Keith Oatley found that reading literary fiction greatly increased readers’ abilities to assess emotions and social situations. In a world where EQ (emotional quotient) often trumps IQ, empathy is extremely important. It increases a reader’s sense of morality, often through the repeated use of poetic justice. By ending most stories with the villains defeated, fiction reinforces that justice should triumph. On the other hand, only reading about the real world can create a feeling that life is cruel, and nothing can change that fact. Fiction readers have a less rigid line of thinking, and are more adaptable and comfortable with uncertainty. Especially in children, fiction stimulates imagination and creativity, which in my opinion are just as important as knowledge. Imagination inspires dreams, creates goals, and makes the world seem more beautiful. It transports readers away from the mundanity of life. Happiness and relaxation are good things. Many people dismiss fiction because they think it provides no tangible benefit to the mind. They believe knowledge and facts are extracted from truth, not stories. But can’t we learn from stories too? Who would argue that 1984 didn’t teach us about the dangers of authoritarian governments? Or that To Kill A Mockingbird didn’t highlight racial tensions? My point is, fiction can educate the public as well as nonfiction, and sometimes in a more convincing manner. To sum it all up, fiction should stay with readers throughout their entire lives. Don’t cast away the creativity of childhood as you transition into adulthood. Of course, nonfiction is equally important, and we all want a balance of dreams and reality. So read a little of both, however much longer one might take compared to the other. Collect information and insight, while cultivating creativity. Reap the best of both genres! Life of Pi, by Yann Martel, is perhaps one of the greatest books on philosophy ever written, delving heavily into themes of faith and hope, all while telling the exciting story of a boy and a tiger. The story goes like this: Piscine Patel is a young Indian boy who lives on a zoo. There, surrounded by animals and the beauty of nature, Pi develops a fascination with religion, exploring and questioning every aspect of it. When his family is shipping the zoo across the ocean, a storm sinks the ship. As the sole survivor, Pi is cast to sea on a lifeboat, with only a Bengal Tiger as his companion. While drifting on the Pacific Ocean, Pi survives and slowly creates his own perception of faith and hope. From the surface, Life of Pi seems like another tale of adventure and survival, much like Gary Paulsen’s Hatchet. However, I personally think that Yann Martel was more writing about the concept of religion. Even the themes of hope and survival are all linked back to Pi’s faith in God, or Gods. Right from the beginning of the book, Pi establishes himself as an extremely religious person, becoming a devout Christian, Muslim, and Hindu all at once. When the truth comes out, all of his religious leaders and parents push him to settle on one religion. Pi replies, “‘All religions are true.’ I just want to love God” (Martel 69). Whether he is correct in saying this is unimportant, because the purpose is to show the frivolous nature of rivalry between religions. At the same time, he felt that atheists were his “brothers and sisters of a different faith” (28). Of course, when his situation spirals into survival on the ocean, Pi’s faith is shaken, but he finds his own peace with his God. Life of Pi surpasses an average philosophy textbook because Martel doesn’t monotonously write about philosophical concepts. Instead, he weaves a beautiful story with elements of philosophy introduced alongside Pi’s experiences on the ocean and in his zoo. In this way, the story’s excitement and thoughtfulness work in tandem, each making the other more meaningful. In conclusion, Life of Pi is a beautifully written book that will leave you questioning your existence without having to endure the boredom of a typical book of philosophy. Perfect! 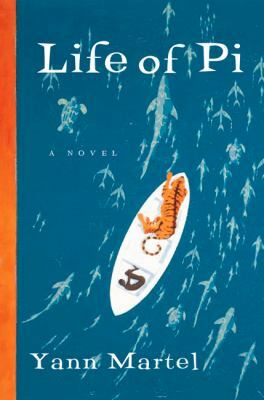 Life of Pi is available for check out from the Mission Viejo Library. It is also available digitally from Overdrive.